Lucas Moura and Ezequiel Lavezzi both are getting frustrated by not being regular starters for PSG. They are not the preferred choices of the new coach Laurent Blanc and now they are not sure about their future with the French club. The Brazilian Lucas Mouras has made 11 out of his 21 appearances for his club as a substitute player and to make matters ever worse he was not taken into consideration by Luiz Felipe Scolari in Brazil’s latest friendly matches against Chile and Honduras and this might be due to the fact that his lack of playing time in PSG is affecting his spot with Brazil. According toTuttoMercatoWeb, Lucas Moura could make a return to Sao Paulo in January, to the club he used to play for before making a move to PSG. Moura won the 2012 Southamerican Cup with Sao Paulo and it just might be the best move for him to make if the Brazilian wants to get back to his best form and even get a permanent spot in Brazil for the 2014 World Cup. Lavezzi on the other hand has seen his time in the playing fields diminished after the arrival of Edinson Cavani from Napoli. Arsenal and Tottenham have displayed interested in signing Lavezzi and his lack of games might just see him making a switch to the Premier League. Speaking to La Parisien, Lavezzi said that he was unsure of his future. “I do not know what will happen in the future,” said Lavezzi. The arrival of Edinson Cavani has seen Lavezzi’s time on the sidelines becoming more and more frequent and less influential for PSG. 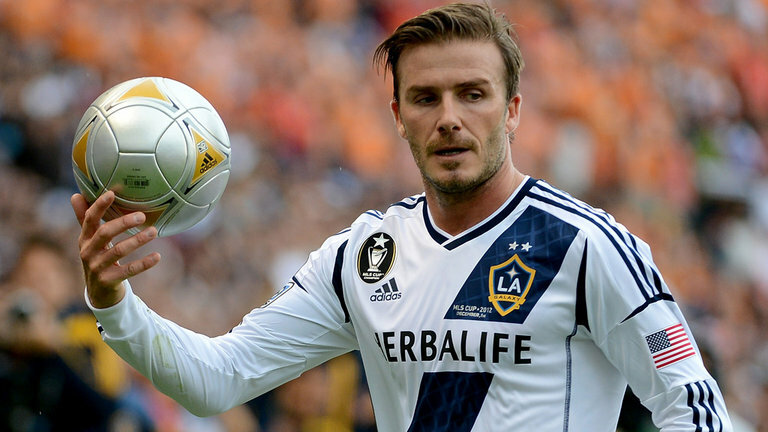 When David Beckham’s LA Galaxy contract ends on the 31st of December, where will he head next? At the age of 36 you would be forgiven for thinking he might be on the verge of hanging his boots up – or at least of finding a club to settle down at for the remaining years of his illustrious career. But according to French Newspaper Le Parisien, Beckham will soon be heading to Paris Saint Germain. The alleged salary is a massive €800,000 per month, with other perks thrown in such as a house in a fashionable quarter of the French Capital, and places at the British School in Paris for David’s 3 children. The only slight hitch that Le Parisien seems not to have noticed is that the official line from Beckham is quite different – he is still considering both a continuation of his current contract, and even offers from other clubs eager to buy one of the most experienced players in the modern game. “No agreement has been reached with any club yet, talk of a deal is premature. David wasn’t in Paris over the weekend, contrary to media reports. He is still in discussion with a number of clubs, including LA Galaxy,” said a spokesperson. The move to Paris Saint Germain would of course mean uprooting the family from their California home, and this is understood to be one of the major factors being considered. Gerrard Houllier, who has managed both Liverpool and Paris Saint Germain in the past, still believes Beckham can be the “decisive” player in any match. Although the ex-England and Manchester Uniter player has obviously slowed up in recent years, his long passing and crossing skills are virtually unrivalled and most teams would be delighted to have such an experienced and naturally leading figure in the dressing room.